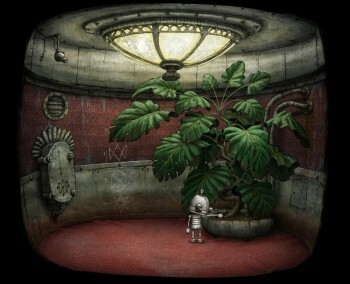 Robot adventure game Machinarium is currently in development for the Vita. Point-and-click adventure Machinarium may not have received a lot of attention when it launched for the PC and Mac back in 2009, but since then it's made its way to the iPad, BlackBerry Playbook, Android, and European PlayStation Network. Starting next week, Machinarium will be even more accessible to some gamers, as it's hitting the North American PSN on October 9. According to developer Amanita Design, Machinarium has been downloaded from the European PSN over 100,000 times since releasing last month. It also revealed that a PlayStation Vita version of Machinarium was in development, though the developer has "no idea when it will be released." Machinarium is the story of Josef, a scrapped robot who manages to put himself back together, make his way through the eponymous robot city, and eventually foil a nefarious plot by solving puzzles. It will be $9.99 on the North American PSN, though no word if the Vita version will be the same price.